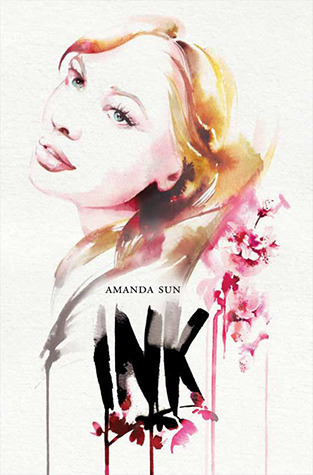 Ink is a book I was unsure about when I first saw it on NetGalley. It looked interesting, but I had a few other books to read and did I like the sound of it enough to add it to the pile? In the end, I did and, on the whole, it was a good decision. The plus points of this book are: an interesting storyline, centred on a mythology not often seen in YA (but no doubt more familiar to Manga readers) and; memorable characters that come across well. The downside for me in this book was the pacing. It started well and caught my interest, but dragged a little in the middle, making me put it aside in favour of another read before returning to it later. I felt the story could have moved a little faster in the middle section, but it did pick up again towards the end. Naturally, there were also the usual YA clichés, but these were not overdone to the extent they were a major deterrent to my reading. I may read on in the series as this first book was an enjoyable read, but it's not one I'd want to reread again and again. Ink is worth picking up if you are looking for a fantasy YA with a new twist.